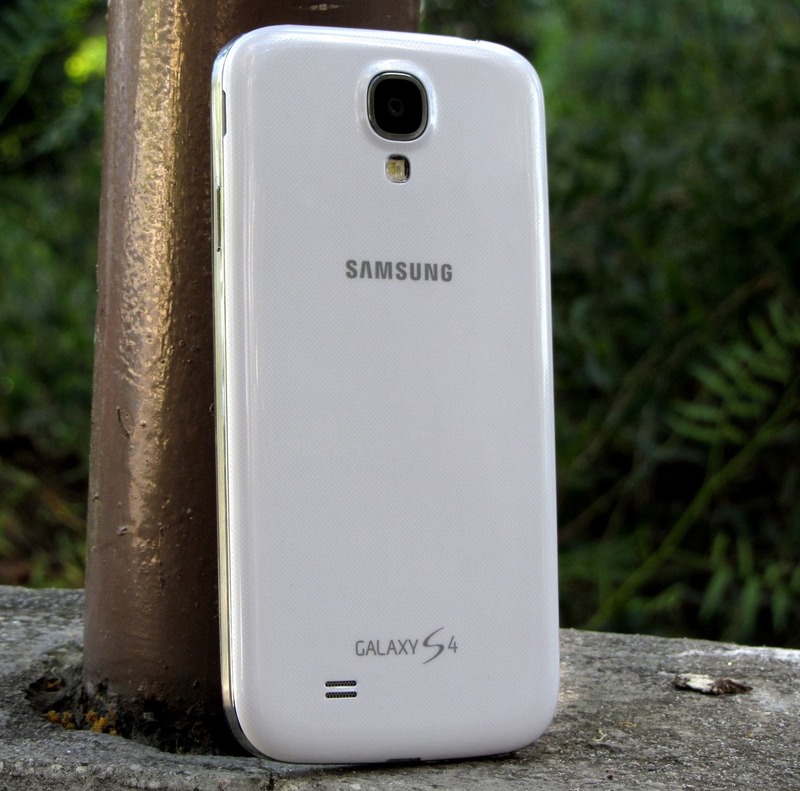 Looking for a great deal on the 32GB version of Verizon's Galaxy S4? Well, too bad - you aren't going to find one. Big Red is hoarding the supply of handsets like they're the only bar in a dry county, and it's their way or the highway. Verizon originally announced the 32GB S4 would be available for a staggering (but utterly believable) $299 on contract, $100 more than the 16GB edition, despite the fact that it was actually only $50 more off contract. 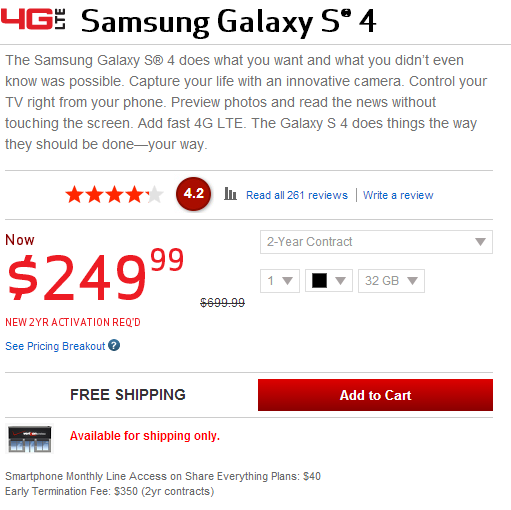 Well, Verizon has apparently caved to logic (and probably fiscal sense, because I doubt they were selling any at $300 a pop) and lowered the price of the 32GB S4 to $249 in its online store. It's not exactly clear when this happened, but definitely some time in the last few days. I know this much: Verizon certainly didn't seek to make an announcement out of it or anything. I also wouldn't get your hopes up on this price being honored in Verizon's retail stores, at least not immediately. So, why can't you get a 32GB Verizon S4 from anyone but Verizon? That's hard to say. The supply of devices may be pretty limited, and having learned from the poor sales of the 32GB S III (Sprint and T-Mobile don't, and likely never will, even offer 32GB S4s), Verizon may be playing this one by ear and have a more flexible supply-and-demand production arrangement with Samsung. Regardless, if you want a 32GB Galaxy S4 on America's reddest network, you know where to go, and you can now take the plunge for fifty fewer of your dollars.